Before he passed away, Nintendo CEO Satoru Iwata made comments about how one game could change or determine the lifecycle of a platform. We have indeed seen this with Nintendo a few times. His example was how Pokemon revitalized the Game Boy and extended its life until the Game Boy Advance came along. It's an interesting note because Nintendo has looked into its past and has indeed been trying to find that One Game for the 3DS and Wii U.
Nintendo has been given credit for resurrecting the video game industry. 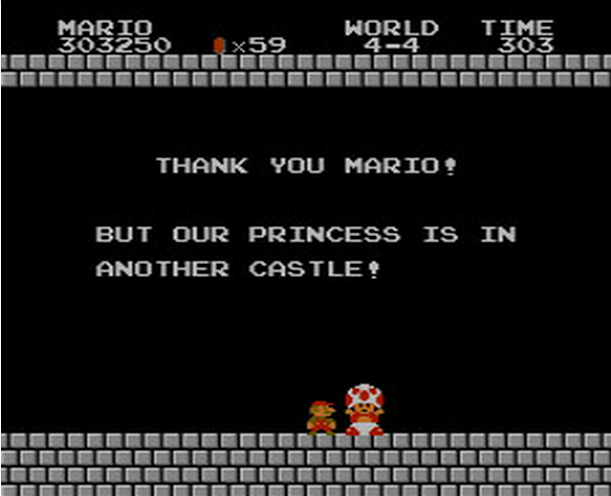 It did this with one title that defined the console for its entire life, Super Mario Bros. 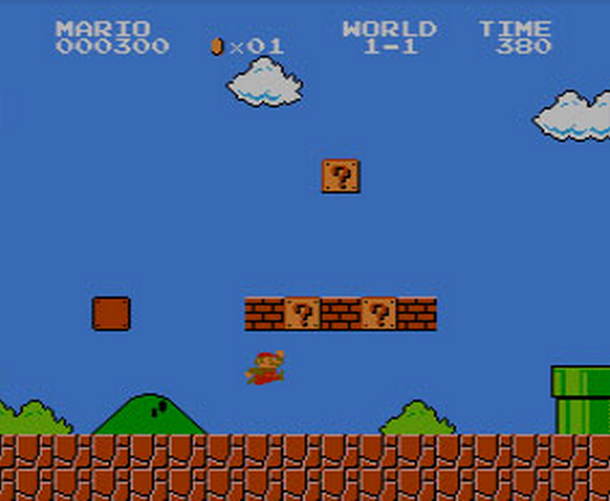 The NES had plenty of great and classic titles, but Super Mario Bros rightly earned credit for defining the system and reviving the video game world. I found it harder to pick the defining title for the SNES but when I think about it, Super Mario World was the title everyone I knew with an SNES had. If there was a game to revitalize the SNES later in its life, my pick would then be either Donkey Kong Country or Super Mario Kart. The N64, on the other hand began with Super Mario 64 and was revitalized by Super Smash Bros. and Mario Kart 64. The Gamecube had Melee in the beginning but nothing really toward the end of its lifecycle. It was possible that the Legend of Zelda: Twilight Princess could have been that title had it not released on the Wii a month before. However, even that game did not attract the most attention for the then-released console. That honor belongs to Wii Sports. So how much has Nintendo paid to its past? Considering that it has released installments for all of those titles on the Wii U, quite a bit. Even Nintendo Land was thought of being their attempt at Wii Sports for this generation (and is a good title nonetheless). However, there is something else to notice in this view of history. Except for Super Mario Bros and Super Mario 64, Nintendo didn't really invent the genre. Instead, Nintendo innovated with an existing genre such as Pokemon did with turn-based RPGs. Super Mario Kart played with the already existing racing genre, Super Smash Bros was a very unique fighting game at the time, and Nintendo had previously released 3D sports titles before the Wii came out. When trying to catch lightning in a bottle, you don't need to create something entirely new, but you do need to innovate and create a grand experience. Considering that the Wii U consists mainly of follow ups to old titles, that might explain why they are all great games, but none being that One Game Nintendo is looking for. However, there is one title that would fall into this special category; Splatoon! Nintendo has innovated the 2D sidescroller, the 3D platformer, Racing, Fighting, Turn-based RPGs, and Sports. Now it has done the 3rd Person Shooter: Splatoon. This game has been described as the surprise hit but should it be considered so? By removing some of the focus from "splatting" other players, it made it more accessible to those that are not so skilled. Also, the different weapons help improve the level of accessibility. For example, my sister isn't good with camera controls but the with the rollers, she can still perform well. Lastly, it was fresh! Gamers enjoy new experiences and doing stuff they cannot do normally. Painting the park using super soakers falls perfectly into that role. Hence, Splatoon had a lot going for it. Now I can't say that whatever genre Nintendo decides to innovate on will definitely be the next hit because it won't. Pikmin was a great adaptation of the Real-Time Strategy genre but it was more of a cult classic than a world-wide phenomenon. Metroid Prime was a fan favorite take on First Person Shooters but it didn't make the Gamecube a success. Likewise, Captain Toad: Treasure Tracker is a critically acclaimed take on the Puzzles but I don't hear of many people flocking to buy a Wii U just for that. Perhaps the difference is that each of the One Games were titles easy for anyone of any level to enjoy, but they also were easy for people to sink into and master if they wanted to. Those titles were fresh and really did appeal to everyone and there were no sacrifices for any crowd. The Wii U still has a few more years so it is possible we might eventually see a similar game for it, but even if the Wii U never gets that One Game, just like all of the previous consoles, it is certainly the home to many fantastic games. Hopefully it won't take Nintendo long to find the "Princess"